Turn signals only work when parking brake switch is on (?!?) - Miata Turbo Forum - Boost cars, acquire cats. This is a strange one. After putting my dash back in (and an engine and transmission transplant, among other things), my turn signals and hazard lights work perfectly well when the parking brake is on. More specifically, when the parking brake switch is on. When the parking brake is off, both side indicators on the dash dimly blink whether you indicate left or right. Before I just start rooting around, or give up and jumper my parking brake switch, does anyone have a suggestion on where to look to resolve this? It's as if the turn signal flasher thing doesn't get enough power unless the parking brake switch is on, but it doesn't make a whole lot of sense. The parking brake light on the dash is working, and nothing else seems to be affected. Definitely sounds like a ground issue. 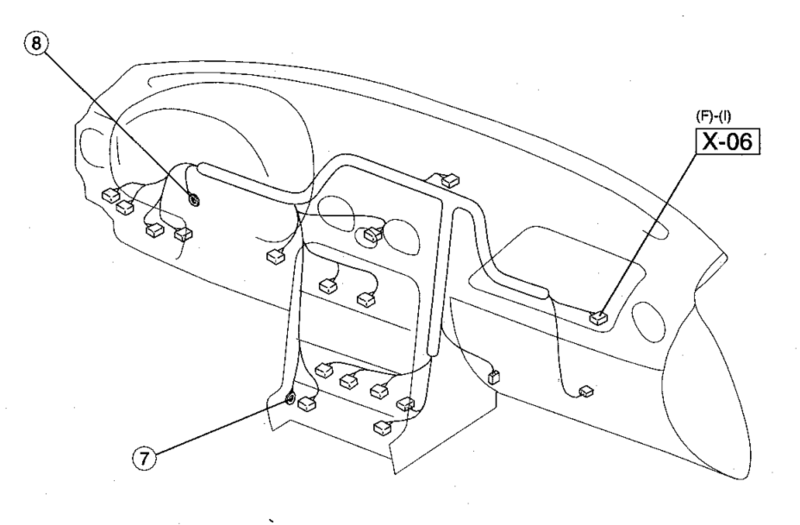 There are 2 ring terminals that tie the dash harness to the dash for grounds on the right and left sides. NB. The probability that I missed a ground when reinstalling the dash is near 100%. I'll start there, thanks!! Chasing a ground path is tricky so I can't say with confidence - but since the parking brake switch pretty much just closes to ground when active it's my best guess. I'm guessing racecar so no radio/hvac panel, otherwise it'd be more readily apparent. I can't remember if the ground points are screws or M6's, but it's a fat 16awg black wire. Thanks a ton for the help everyone. I can't find an untied ground anywhere. I also found that the turn signals work just fine, it's just the dash display that goes all dim when the e-brake is off. Still a puzzler, but far less critical. I'll keep rooting around whenever I'm in there and see if I left anything undone. Just to double check - both ring terminal grounds are in place? Connector 3J on the instrument cluster - which is the small connector in the middle, 3J is on the end, wire color is black - Ohm that out against a clean ground on the body. Should be damn near 0 - if it's not, pull the brake and check it again. 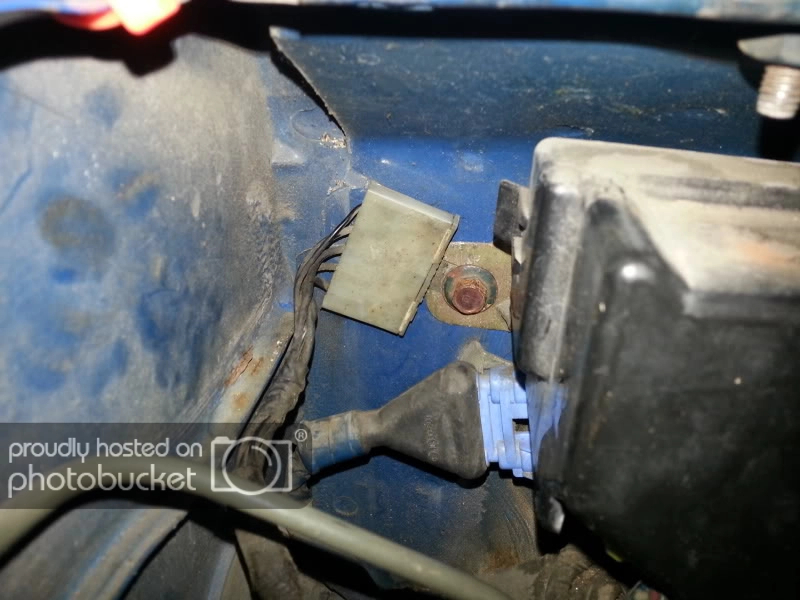 Edit: The parking brake switch is 3C - so you'll need to backprobe the connector to test. Last edited by gooflophaze; 04-14-2019 at 11:55 PM. Both ring terminal grounds eh? 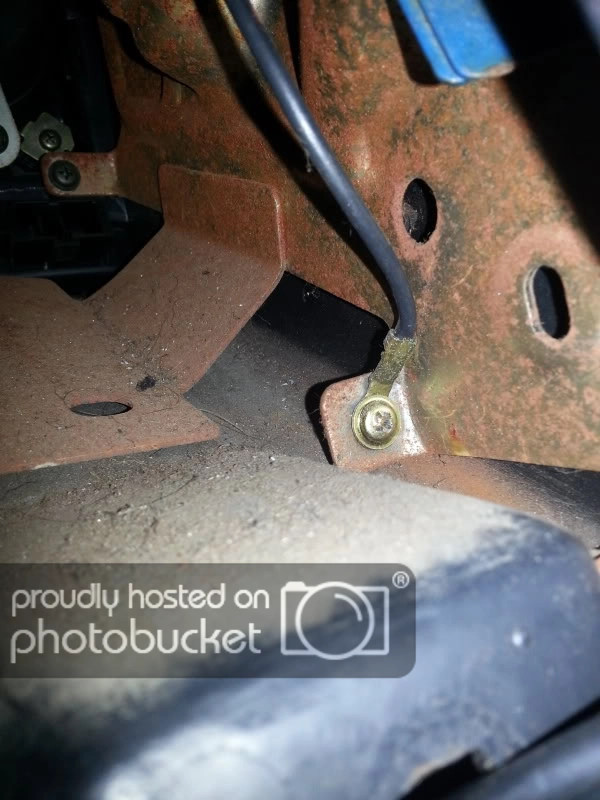 On the left hand side right above the clutch pedal, there's one that has a plastic connector with 5 black wires broken out of it, 3 fatties and 2 pinners. IIRC, one of those goes to the frame of the dash. That's the only one I saw in the area. I'll test the connector, thanks for the suggestion. I think the one you're seeing is a body ground on the body harness - looks like this (except less grungy since this one is in the engine bay). It's just a ring terminal with a single wire (that splits out to like 5 wires in the loom). Bolts directly to the metal frame of the dash - one is gonna be in the OBDII area, the other is going to be near the blower motor - but again, on the metal frame of the dash itself. It looks like this (though note this is an NA, but it's the same terminal). I have an NB dash in my NA, but it's all in pieces right now or I'd take a picture of them. Derp. I forgot I'm running an NA harness in an NB dash. 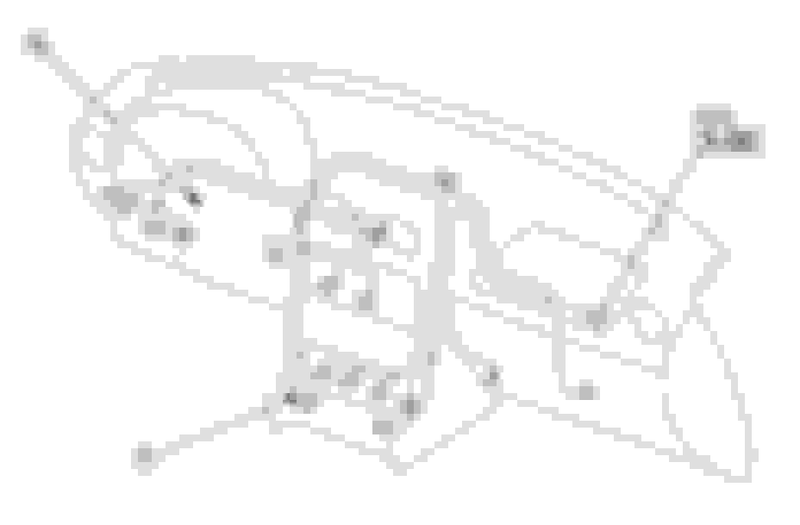 Here's what the FSM says for the ring terminal locations though - points 7 and 8. So, NA cluster or NB cluster? Nb cluster, though I was running a na cluster before I did a V8 swap. Either way, the diagnostic still holds since it was made off the nb wiring diagram. Be aware, the dash frame itself may be unreliably grounded. I always add a discrete ground from the dash frame back to chassis.